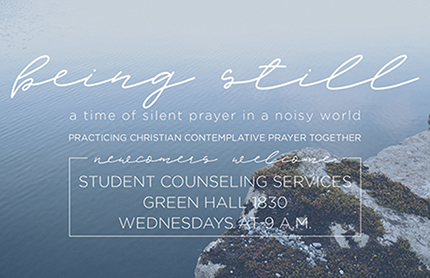 The purpose of this group is to help students take time to be still in God's presence. 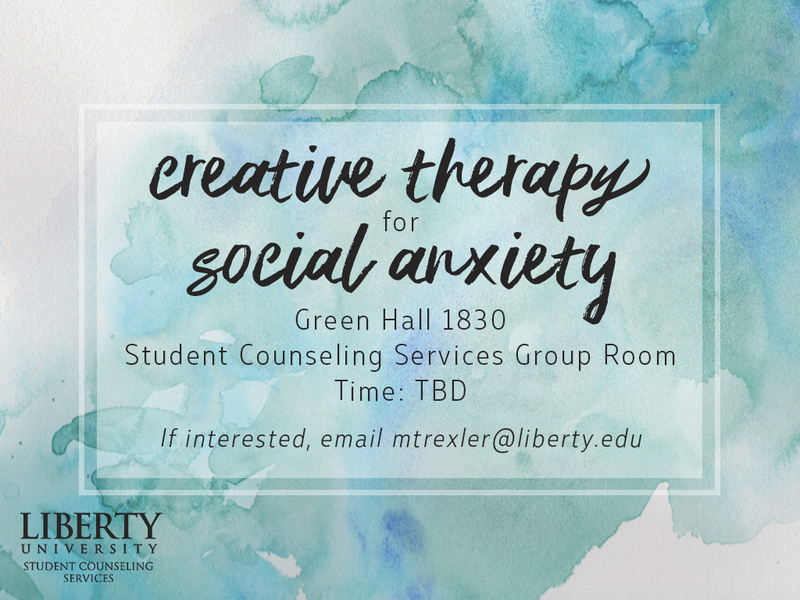 Creative Therapy for Social Anxiety is a counseling group designed to assist people in decreasing social anxiety. This group teaches participants about anxiety and introduces the Creative Exposure Intervention, which was developed by Dr. Lisa Sosin and has been used with positive results in her counseling practice (Sosin & Rockinson-Szapkiw, 2016). The intervention combines art and cognitive-behavior therapy interventions. The group will occur over the course of six (6) weeks followed by an individual debriefing session. Each group session will last 90 minutes in length, and the debriefing session will last up to 60 minutes. 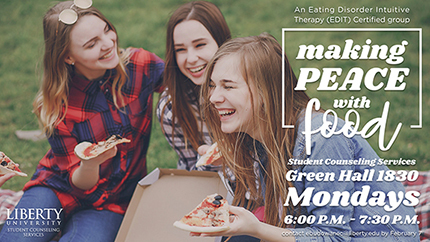 Making Peace with Food is an Eating Disorder Intuitive Therapy (EDIT) Certified group for those who feel stress around eating or their appearance. The EDIT structure helps students sharpen and use their personal intuitive skills to grow in understanding of their emotional and physical well-being. This group is designed to support individuals in their ongoing recovery from substance use through skills building, sharing resources, and support from peers. Participants will engage in weekly activities to bolster resilience in order to maintain sobriety.